(h) Verificalion. Owners and operators must maintain proof of Class A. Class 13. and Class C operator training and compliance on-site and present it to the Department or its agent during each inspection and when requested. 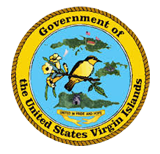 The U.S. Virgin Islands - Department of Planning & Natural Resources - Underground Storage Tank Program regulates the installation and operation of underground storage tank systems and oversees cleanup at sites impacted by eligible leaking tanks to protect Virgin Islands's land and groundwater from contamination.